I-275 Southbound Ramp to I-75 Northbound (Exit 228): Construction project: Crews are replacing the concrete bridge deck on the southbound I-275 ramp to northbound I-75. The I-275 southbound ramp to northbound I-75 is closed for approximately ten (10) months. Traffic is being detoured north on US 41/S Tamiami Trail to SR 674/E College Avenue in Hillsborough County. A temporary traffic signal has been installed on US 41 at the southbound I-275 exit. Periodic nighttime/overnight I-75 northbound/southbound and I-275 southbound lane closures beneath I-275 will occur during construction. There will be nighttime/overnight southbound lane closures on I-75 the week of Sunday, April 7. caution and watch for changes in the traffic pattern. Expected completion is summer 2019. Cone & Graham, Inc. is the contractor. I-75 at SR 70 Interchange (Exit 217): Construction project: This week, crews will work on widening I-75, the ramps, retaining walls, drainage improvements, constructing noise walls behind the Creekside community, and working on the bridges over SR 70 and the Braden River. Motorists are advised that on Monday, April 8th, during the overnight hours from 11 p.m. to 5 a.m., the I-75 off-ramp to SR 70 eastbound and westbound will be closed, weather permitting. Motorists are advised to go I-75 exit at Exit 220/SR 64 and use local routes; Exit 224/University Parkway and return to the interstate northbound and exit at SR 70; or, use local routes. On Monday, April 8 through Friday, April 12, the SR 70 at Manor Hill Way/Twelve Oaks Plaza driveway intersection will be partially closed. Motorists will be able to enter the plaza from the driveway – use caution entering the driveway or use Tara Boulevard to Stone River Road; however, motorists must use 55th Avenue East to exit the plaza. The westbound SR 70 median opening for Twelve Oaks Plaza will be fully closed periodically between April 8th and April 12th. Motorists will need to enter from Tara Boulevard and Stone River Road; or, make a U-turn at Tara Boulevard and enter the plaza. Closures will be from 8 a.m. through evening hours. Drivers should exercise caution and be aware of construction vehicles entering and exiting the interstate through the duration of the construction. Variable message signs will be in place to alert drivers that work is underway. Estimated completion is late 2021. The contractor is Sacyr Construction USA, LLC. I-75 at SR 64/Manatee Avenue Interchange (Exit 220): Construction project: This week, crews are currently striping SR 64, installing sod, and working on punch-list items. Waterline tie in at 14th Street scheduled April 9th. Daytime operation expect heavy equipment, backup alarms and tight driving conditions. Installation of roadway base is expected on the west side of US 41 and at 14th Street. 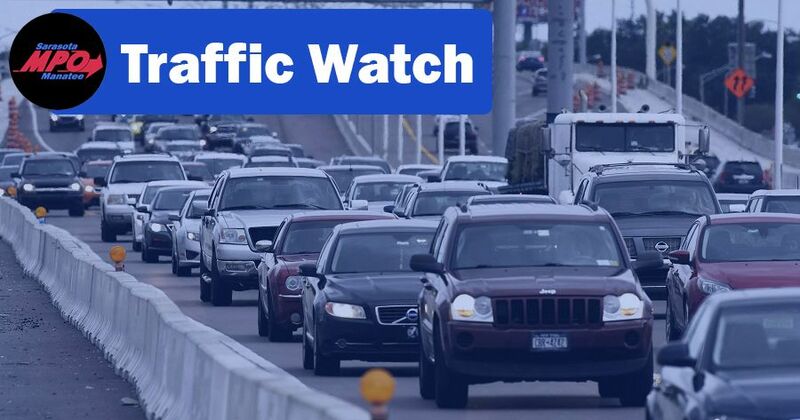 Expect noise from heavy machinery, dust and dump trucks moving in and out of traffic. Contractor will be compacting the base with vibrating rollers. Expect heavy equipment, concrete and dump trucks and vibrations due to compaction; the vibrations will be felt and noticeable in the vicinity. This operation is expected for approximately one week, weather permitting. US 41 (Venice Bypass) from Center Road from to Gulf Coast Boulevard: Construction project: Crews are widening US 41 from Center Road to Gulf Coast Boulevard to a six-lane highway; replacing traffic signals, installing new pavement markings and signage; installing concrete curb, sidewalks; improving new drainage, and installing new highway lighting. Expect north and southbound nighttime lane closures on US 41 between Via Venato and Seaboard Avenue from 7 p.m. to 6 a.m. through Sunday, April 14. Use caution and watch for changes in the traffic pattern. Bergeron Land Development, Inc. is the contractor. Expected completion is spring 2021.